(Boston, MA) - The Massachusetts Senate demonstrated strong support for the arts, humanities, and sciences in the Fiscal 2018 budget plan it approved last week, boosting cultural funding by 18 percent and approving a new program to support public art. Those proposals now go before a House-Senate conference committee charged with reconciling the two chambers' approaches to the budget for the new fiscal year that begins July 1. The House and Senate then must approve a final budget plan before sending it back to the Governor, who can sign it, veto it, or veto select line items. Over the next several weeks the Mass Cultural Council and its advocacy partners—MASSCreative, Mass Humanities, Mass Artists Leaders Coalition, and others—will urge members of that conference committee to adopt the Senate plan so the benefits of public support for culture can be shared across more communities. "The Senate showed real leadership at a time of continuing pressure on state finances," said Anita Walker, Mass Cultural Council Executive Director. "They heard from advocates statewide that state support for culture is not a subsidy—it is a down payment on our future prosperity as a Commonwealth." The final Senate budget calls for $16.5 million to support the arts, humanities, and sciences through the Mass Cultural Council. That would represent an increase of $2.5 million, or 18 percent. By contrast, the House would allocate $12 million for the arts and culture, a cut of roughly 13 percent, for next year. Current state arts funding via Mass Cultural Council is $14 million. 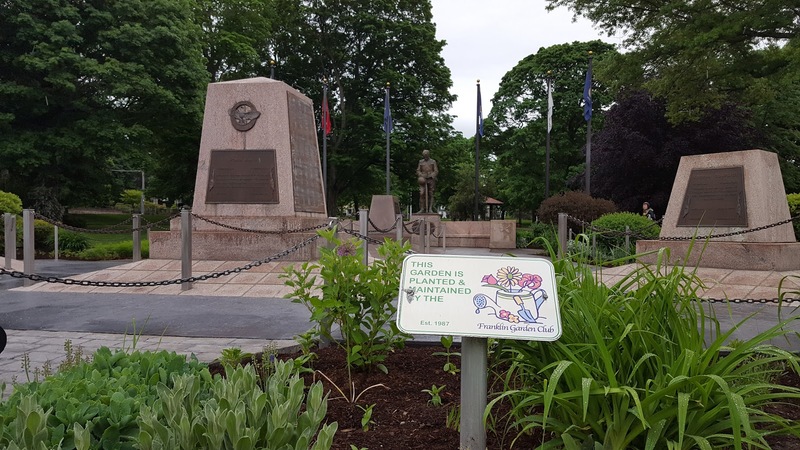 The budget plan also included language sponsored by Senator Eric Lesser of East Longmeadow to establish the Massachusetts Public Art Program (MPAP), which would set aside funds for the creation and preservation of public art on Commonwealth-owned properties. MASSCreative and its advocates campaigned in support of the measure. "The Senate budget offers a real chance to further fuel our creative economy," said Walker. "We will put those additional dollars to work in ways that drive cultural tourism, employment, and community vitality across the Commonwealth." Walker urged the cultural community to thank their Senators for their show of support, and ask their Representatives to support the arts and culture provisions in the Senate budget. Arts and cultural leaders can go to our Advocacy Action Center for additional background on the process and information for making the case to lawmakers. The Mass Cultural Council is a state agency supporting the arts, sciences, and humanities, to improve the quality of life in Massachusetts and its communities. It pursues its mission through a combination of grants, services, and advocacy for nonprofit cultural organizations, schools, communities, and artists. The agency's total budget for this fiscal year is $16.1 million, which includes a $14 million state appropriation and grants from the National Endowment for the Arts and other sources. The Council also runs the Massachusetts Cultural Facilities Fund in partnership with MassDevelopment. 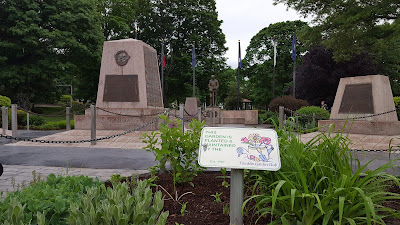 The program for the Memorial Day ceremonies and parade is shared here. The 2017 Parade route will begin at the Depot Street and Dean Bank and proceed up Main St (towards Church St.), take a left onto School, to a Right on W Central Street, then a Right on Beaver St until we reach the Town Common / Church Square. 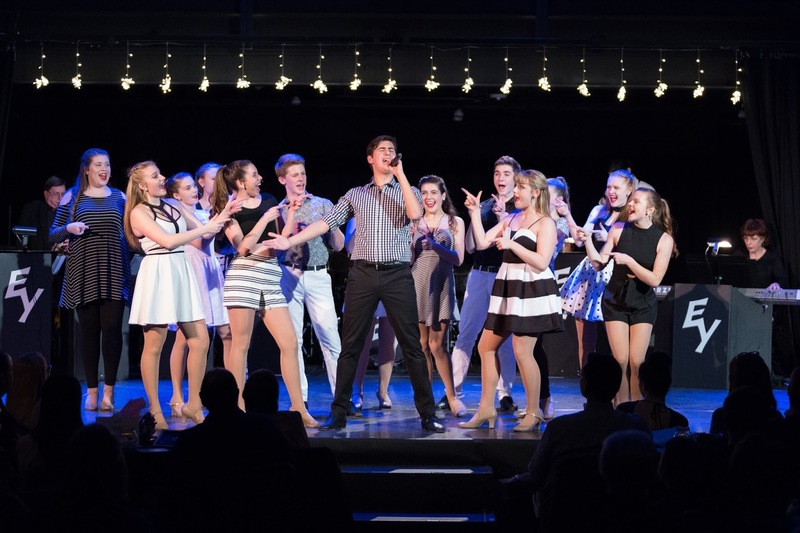 Electric Youth (EY) 2017, the international touring ensemble of talented singer-dancers trained at the Franklin School for the Performing Arts (FSPA), presents a Bon Voyage concert at THE BLACK BOX in downtown Franklin on Saturday, June 24 at 7:30 p.m. The performance comes just days before the ensemble departs on June 28 for a 2 ½-week concert tour of England, France, Italy and Switzerland. Backed by an eight-piece band of world-class musicians, Electric Youth delivers a fun, high-energy evening of family entertainment with an extensive range of contemporary pop, classic rock, Broadway and country music for audiences all ages. The group’s 14th European tour features several concerts along the coast of Normandy, including shows in Barfleur, Cherbourg and the historic D-Day site of Sainte-Mère-Église. The itinerary also marks the group’s debut in Switzerland with a concert in Zermatt. Venues in England include Wimbourne’s Tivoli Theatre, along with performances in Arundel, Chichester and Hastings, where Electric Youth will collaborate with students from the Hastings Stage Studio. EY also returns to Lake Como, following performances there last summer, to deliver two lakeside shows at the Hotel Britannia. Selected annually by audition, the group is chosen for superior musicianship, stage presence, and “triple threat” accomplishments in voice, dance, and acting. This season’s ensemble of performers, ages 15-18, studies multiple dance disciplines, voice, and acting at FSPA. Electric Youth 2017 includes Julia Buccella, Brooke Collins, Aaron Frongillo, Sydney Leach, Caitlin Woodcock and Melissa Wyner of Franklin; Caroline Merten of Hopedale; Sam Evans and Colie Vancura of Medfield; Katie Gray of Milford; Naomi Fitzgerald, Mairead Nee and Griffin Wilkins of Walpole; and Susauna Wickstrom of Wrentham. The EY singer-dancers are backed by Boston musicians who’ve performed, recorded and toured with music legends Tony Bennett, Aretha Franklin, Dizzy Gillespie, B.B. King, Diana Ross, The Temptations, Van Morrison and many others. Raye Lynn Mercer and Hallie Wetzell are Electric Youth’s Director and Vocal Director, respectively. Choreographers include Mercer, Casey Andrade, Cheryl Madeux, Nick Paone and Kellie Stamp. Electric Youth has released six professional albums and toured Europe 13 times, with performances at England’s Arundel Festival, Disneyland Paris, professional theaters in Bristol, London and Windsor, and such renowned venues as Sanremo’s Ariston Theatre and Vienna’s Konzerthaus, Musikverein and Schonbrunn Palace. EY also has headlined Fourth of July shows for U.S. troops and their families stationed in Italy at Camp Ederle, Camp Darby and Aviano Air Force Base. The ensemble has performed on Royal Caribbean’s Oasis of the Seas, on Fox-TV and WBZ Radio, and at Fenway Park, Gillette Stadium, Mechanics Hall, the Smithsonian Museum Theater, the United Nations and the American Embassy in Rome. EY’s music, including the 2014 album Power Chord, is available at amazon.com and iTunes. Tickets for Electric Youth in Concert at THE BLACK BOX are $26. To purchase tickets, visit www.THEBLACKBOXonline.com, stop by the box office at 34 Main Street in Franklin, or call (508) 528-3370. THE BLACK BOX is located at 15 West Central Street in downtown Franklin. For more information about Electric Youth, visit www.electricyouth.com. 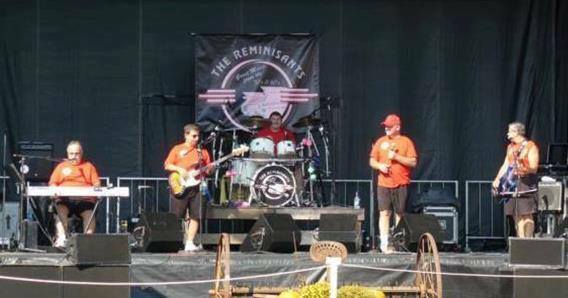 THE BLACK BOX New England Artist Series presents The Reminisants on Saturday, June 10 at 8 p.m. at the downtown Franklin venue. Entertaining audiences of all ages throughout New England since 1973, the oldies band specializes in music from the 1950s through the ’90s. Playing a collection of hits for all kinds of musical tastes and many generations, the popular stage act averages over 120 performances per year. The band has shared the stage with The Beach Boys, Paul Revere and the Raiders, The Drifters, Chubby Checker, The Marvelettes, Herb Reed and The Platters, and many more. Formed in 1973 by three Waltham High School friends, Dom Viscione, Mike Joyal and Fran Doorakian, the band has since expanded to the current six-man group. Tickets are $20. 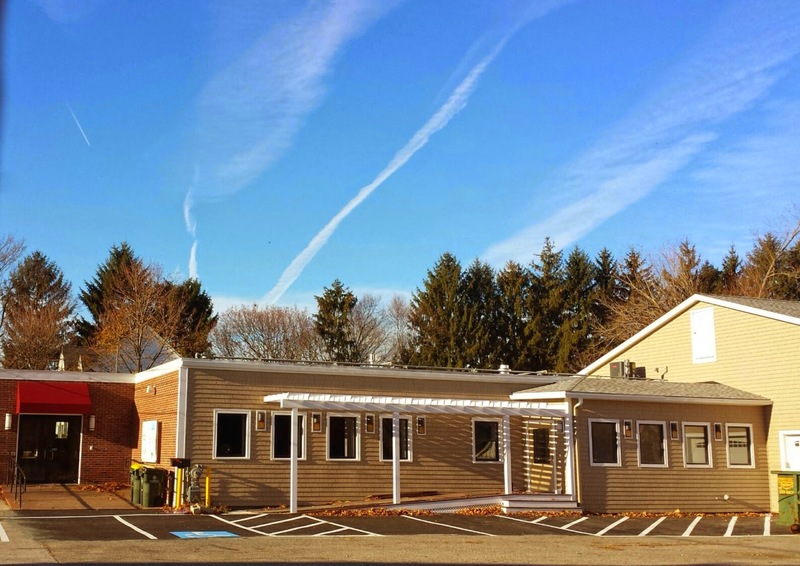 The home of the Franklin Performing Arts Company and a suburban hub for great music, THE BLACK BOX is located at 15 West Central Street. A cash bar is available. 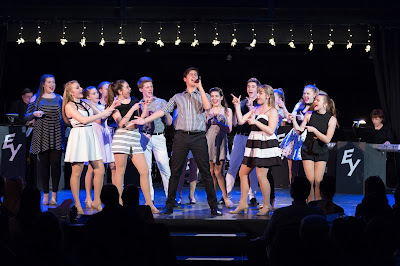 Franklin School for the Performing Arts (FSPA) will host spring Open Houses on Thursday, June 8 and Monday, June 26 from 4-8 p.m. at 38 Main Street in downtown Franklin. The community is invited to tour the facilities, observe classes and rehearsals, speak with faculty and staff, and learn more about FSPA programs in music, dance and drama. FSPA is also home to the Little Music School, an innovative program that teaches children as young as 18 months to play the piano. An extensive calendar of performing opportunities features musicals, plays, ballets, voice and instrumental recitals, opera scenes, acoustic coffee houses, musical theater and dance company showcases, and more. Many FSPA students are also cast, by audition, in the affiliated Franklin Performing Arts Company’s annual season of shows. FSPA TALENT offers management services for young performers who elect to pursue professional opportunities. FSPA is also pleased to offer FSPA Academy, an academic alternative for students seeking a challenging curriculum in a supportive, flexible environment that encourages their creative goals. Provided Monday through Friday from 8 a.m. to 1:30 p.m. in collaboration with the Massachusetts Virtual Academy (MAVA), the program builds upon MAVA’s state-approved online curriculum and features an enhanced emphasis on arts, language and culture, including Music Theory, foreign language conversation classes, field trips and more. Classes continue at FSPA through June 19 and the summer session begins on June 26. Registration for summer and fall is ongoing. Call (508) 528-8668 or visit www.FSPAonline.com for more information, including the FSPA catalogue, summer brochure and fall class schedule. Franklin Historical Museum: "The Churches in Franklin"
Joe Landry's next presentation at the Franklin Historical Museum will be on Sunday, May 21 at 1:30 pm. Joe will be discussing "The Churches in Franklin" and the role that the Puritan church played in the formation of Franklin as a town. He'll talk about Franklin's beginning as the "Second Precinct of Wrentham" and how it became a separate town in 1778. Joe will discuss the different religious denominations that came to Franklin during the early years and the churches that their followers worshiped in. Some structures were lost as a result of fire or hurricane and some were moved to different locations and sold to other religious groups. Just a reminder there is an important Cultural District meeting Thursday night at 7:00 p.m. The meeting will be held at Franklin TV at 23 Hutchinson Street. The main topic of discussion will be our Cultural District Marketing Plan, which is a cultural district application requirement. Please bring your ideas/suggestions. It is important that all of you provide input into the required Marketing Plan and related issues. THE BLACK BOX Local Artist Series presents the DayBreakers, with special guests Copilot and Colbis the Creature, on Friday, May 19 at 8:30 p.m. at the downtown Franklin venue. Blending folk-rock melodies with blues guitar muscle and rock ‘n’ roll grit, the DayBreakers have crafted their own sound on the backs of bands like the Rolling Stones, The Black Crowes, The Allman Brothers, and the Eagles. Their music tells timeless stories of happiness, heartbreak, rejection, and redemption with rhythm that keeps audiences dancing. Combining rock ‘n’ roll, blues, country, and funk, the band has worked tirelessly to craft a sound that is filled with hard riffs and soulful melodies. Copilot is an American Pop duo based in Norfolk, Massachusetts. As Copilot, Ry McDonald and Maggie Quealy explore their passion and unique, Americana music through their popular covers and original songs in a way that many listeners haven’t heard before. Boston-based Indie rock band Colbis the Creature features Nick Caliendo (vox, rhythm guitar), Danny Hoey (vox, lead guitar), and Colby Blauvelt (percussion). Forging songs with a solid rock texture and pop-flavored coating, the group recently released a self-titled album. Tickets are $10 in advance or $12 at the door. The home of the Franklin Performing Arts Company and a suburban hub for great music, THE BLACK BOX is located at 15 West Central Street. A cash bar is available. 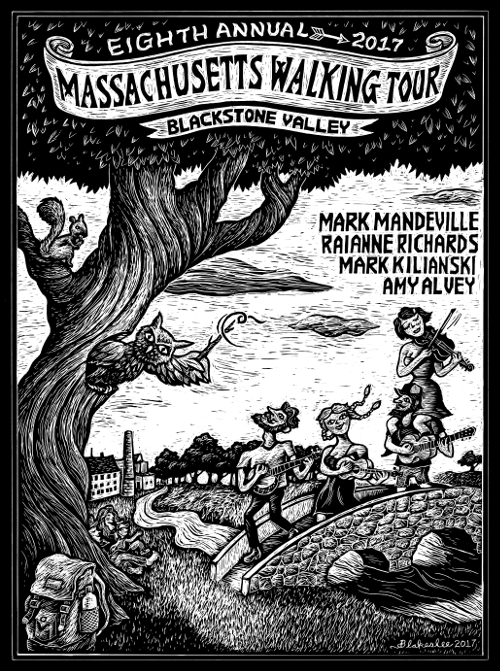 The Eighth Annual Massachusetts Walking Tour, founded by songwriting duo Mark Mandeville and Raianne Richards, will be coming this year to the Blackstone Valley – performing 11 free community concerts while traversing the state on foot. Since 2010, Mandeville and Richards have organized now over 100 coffeehouse style concerts which showcase local musicians and artists across the state – creating a quality evening program for all ages and an opportunity for talent young and old to be enjoyed by a listening audience. Venues chosen for these community concerts include public libraries, town parks, and historical properties – and this year all events have been funded through grants from the Massachusetts Cultural Council program. Carrying approximately 40-50 lbs of gear and instruments, the Massachusetts Walking Troupe, including veteran members Mark Kilianski (guitar, banjo) and Amy Alvey (fiddle), will be hiking from concert to concert using the Blackstone Valley’s many recreational trails – Southern New England Trunkline Trail (SNETT), Charles River Bikeway, and trails within DCR’s Riverbend Farm to name a few. 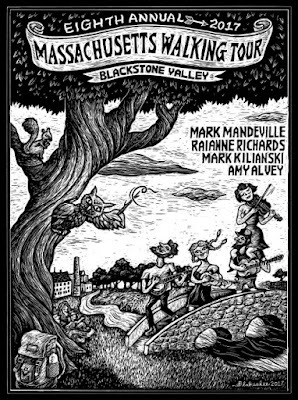 In addition to evening concerts, the troupe will also be organizing a series of short group hikes wherein the community will be invited to meet up with the Massachusetts Walking Tour as they travel between towns. These public hikes will highlight some of the Blackstone Valley’s recreational hiking trails, routes which appear in local author Marjorie Turner Hollman’s book Easy Walks In Massachusetts. All routes will be displayed and downloadable at www.masswalkingtour.org. For more information on these events or for videos of previous year’s Massachusetts Walking Tours, please visit www.masswalkingtour.org. If you are an artist or musician from the towns above, and you would like to be involved in an event, send an email to masswalkingtour@gmail.com or find the Massachusetts Walking Tour on Facebook. All: Please mark your calendars for a very important and hopefully interesting meeting. The Town is making good progress in its efforts to create a cultural district in the Downtown area. On May 18th Franklin TV will host our next meeting at their studios at 23 Hutchinson Street. Franklin TV/Franklin Radio (Franklin Community Cable Access) has signed on as one of our Partners working to create, manage and enhance the cultural district. The main topic of discussion on May 18th is our Cultural District Marketing Plan, which is a cultural district application requirement. Steve Sherlock will provide an overview on the status of our Cultural District Web Site, Cultural Events Calendar, and Social Media. We'll also be discussing a possible Cultural Asset Catalog (or on-line listing), an on-line "Story Map" of the cultural district, collaborative marketing efforts, and Cultural District Branding and Signage. In addition to fairly short presentations, we'll all have opportunity to provide input. Please bring your ideas/suggestions. It is important for all of our partners to provide input into the required Marketing Plan and related issues. I hope we have a full house at Franklin TV. Going forward. Please mark your calendars for our June meeting, which will be held at 7:00 p.m. on June 15th at Dean College in the Campanella Board Room. We'll be discussing the cultural district application submittal and related required Town Council actions. As with the May meeting, it's extremely important that representatives from all our Partners attend. Also, attached for your review (see below) is a map of the proposed Franklin Cultural District, which was recently submitted to the State for their review. Please note the Town of Franklin is converting to a new email system. Effective July 1, 2017 my e-mail address will be btaberner@franklinma.gov. Join us at THE BLACK BOX when the culinary and performing arts unite for an inspired evening of fabulous food, wine and entertainment! The 6th anniversary Culinary Cabaret spotlights this region's outstanding culinary talent, showcasing fine wines, craft beer, flavorful dishes and delectable desserts! Special Guest: Author, event designer and entertaining expert, Boston native Hilary Pereira introduces her Splash Mixers – premium, all-natural and low-calorie mixers that simplify the art of making the perfect cocktail! Co-host: David Handy of David M. Handy Events. Featuring entertainment by Electric Youth and special guest artists of the Franklin Performing Arts Company. THE BLACK BOX in June! Blending folk-rock melodies with blues guitar muscle and rock and roll grit, the DayBreakers have crafted their own sound on the backs of bands like the Rolling Stones, the Black Crowes, The Allman Brothers, and the Eagles. The music tells timeless stories of happiness, heartbreak, rejection and redemption with rhythm that keeps audiences dancing. Combining rock and roll, blues, country and funk, the band has worked tirelessly to craft a sound that is filled with hard riffs and soulful melodies. Copilot is an Americana Pop duo based in Norfolk, MA. As Copilot, Ry McDonald and Maggie Quealy explore their passion for unique, Americana music, through their popular covers and original songs in a way that many listeners haven't heard before. ​​Colbis the Creature is based in the suburbs of Boston. Predominantly forging songs with a solid rock texture and pop-flavored coating, Nick Caliendo softly hammers honest lyrics into your head with the help of, the dissonant, stringed disarray of Danny Hoey's feedback. Colbis is anchored to the earth by an exacting rhythm section, courtesy of Colby Blauvelt. Their self-titled album (Colbis the Creature) is infectious and lingers long after with melodic hooks and odd imagery. With all members having different interests and influences, none of their songs sound like the next, but somehow all fit together.